More and more conference planners around the globe are finding themselves in need of sophisticated technology solutions that can facilitate the management and delivery of large, complex conference settings. Up to now, most have had to rely on existing technologies that include complicated hardware and cabling, as well as installation procedures that translate into costly and labor intensive applications. 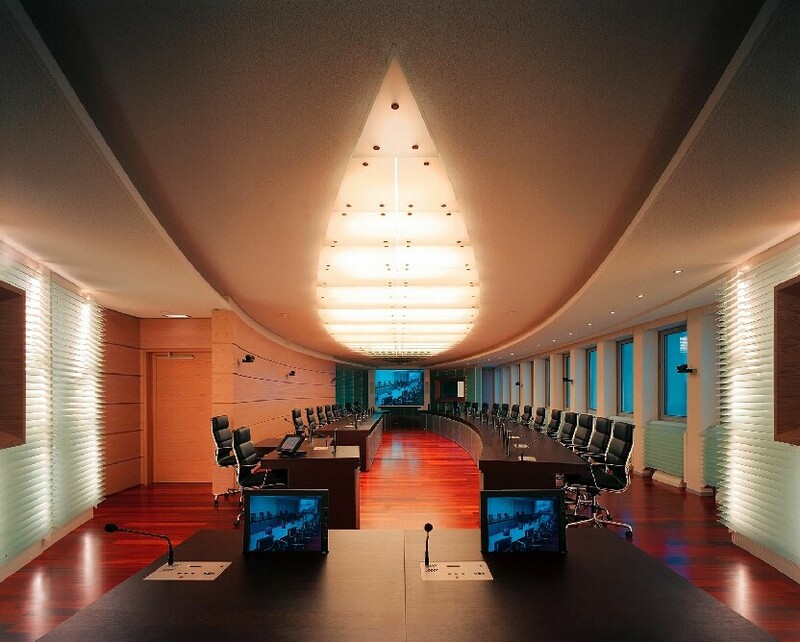 This new concept of designing conference rooms, as offered by SHOWORKS, is revolutionary in scope. By using Interkom's user-friendly systems — which include One Cable daisy chain connections — SHOWORKS' provides solutions that are significantly less expensive and complex. Our conference systems, have natural and clear audibility, are easily expandable to include features such as simultaneous interpretation and electronic voting, and can be custom designed to fit specific requirements. Interkom's three main conferencing products — the Digital Multimedia Congress System (DMC), and the digital-controlled Intelligent Network Congress Systems (iCL, & iCC) — can be applied in a variety of different settings. Whether a council chamber, a multilingual or large video conference room, a courtroom, a boardroom, a distance learning center, an auditorium, or a university classroom, SHOWORKS offers the perfect solution to you conferencing requirements. Call SHOWORKS today for more information or use our online request form. More information is available on our Interkom products page.